I mentioned in my previous TBR shelf post that I’m creating a monthly TBR (to be read) by randomly selecting shelves from my manga room. This month, I’ve chosen shelf number 40! This contains regular sized manga from Pi to Ra. This is one of those strange shelves where many of the series are incomplete. Several of these incomplete titles like Pieces of a Spiral are actually fairly new to the collection. They were picked up in the hopes that someday we’ll eventually be able to collect all of the volumes, and then eventually read them. But we’re not in any hurry. I may decide to read a couple of the volume 1’s from these series, but when there are big gaps in the middle, I don’t force myself to continue. I’d written a previous post where I talked about wrapping up my books in wrapping paper, and selecting titles randomly to read over the year. I had originally planned on making this a video series, but have since decided not to. I may talk about my prose reading on my YouTube some time in the future, but I don’t think this will be part of it… at least not this year. But, I am still going forward with this project. The goal is to keep unwrapping 6 books every other month, and to read at least 3 of the books before moving on to the next unwrapping. This project has been forcing me to revisit some of these books that have sitting the longest on my shelves – it’s been great visiting some old forgotten gems. I’m attempting to read at least 20 novels this year (that’s my goal). Every 2 months, I’m randomly selecting novels to add to my TBR list. I’ve wrapped all of my TBR books in wrapping paper, so I don’t know what they are before the month begins! My intention is to read at least half of what I select. I don’t want to put too much pressure on myself, but I also want to encourage myself to ACTUALLY pick up the books I’ve had on my shelf since forever. I’ve already begun reading Genshiken: Return of the Otaku by Iida Kazutoshi. 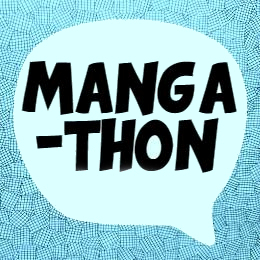 I want to make sure I finish reading that one in particular because it will count towards my manga reading challenge #readmanga18 for the category of reading a light novel. To give you a hint of how it’s going… I’m not sure that I will be inspired to pick up another light novel ever again. It’s pretty bad. I feel sorry for the translator who had to work on this.